By allowing you to consistently position spark plug ground electrodes out of harm’s way, the ARP indexing tool takes the guess-work out of installing spark plugs where the combustion chamber and high dome piston clearances is critical. Designed to fit in the palm of your hand, this tool eliminates the need to perform cylinder head calibration. 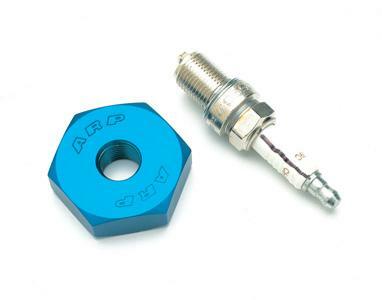 Best of all, the ARP indexer is made from aluminum alloy with precision machined threads that allows you to proof the quality of spark plug threads before installation in expensive cylinder heads. Anodized for protection and quick recognition. For use with tapered gasket 14mm plugs.